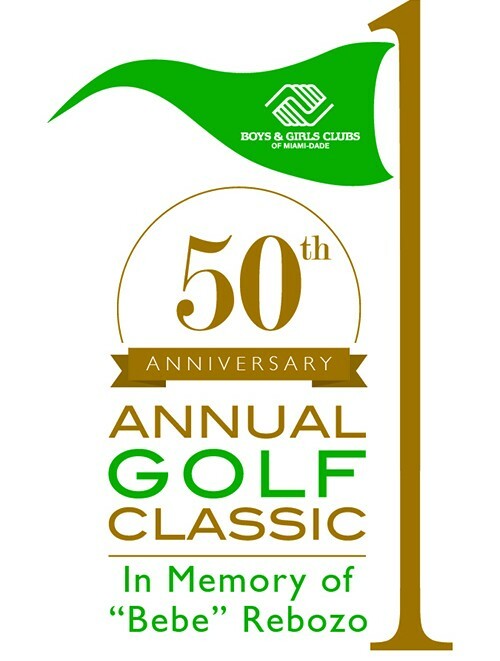 Boys & Girls Clubs of Miami-Dade is celebrating a great milestone this March: It is hosting its 50th Annual Golf Classic in Memory of “Bebe” Rebozo on Monday, March 13. The tournament, which will take place at the Deering Bay Yacht & Country Club, located at 13610 Deering Bay Dr., Coral Gables, FL 33158, offers the chance to play for fun or at a competitive level. Former Marlin Mike Lowell will once again be the Celebrity Golfer at this year’s tournament. The daylong tournament will begin with a putting contest at 11 a.m. The shotgun start immediately follows at noon. Prior to the shotgun start, Stretch Zone will be available to assist players warm up. All golfers will receive a commemorative golf shirt, umbrella, bag, towel, balls, picture, complimentary parking, green fees, cart, range balls, lunch provided by McDonalds, on-site snacks provided by Hooters, and dinner at the awards banquet and ceremony. Professional Long Driver Bobby Bradley from Charity Golf International will be on-site to raise additional funds for the organization. Golfers are encouraged to take part in activities and games throughout the day. Immediately following the tournament, the day will conclude with an awards banquet and ceremony at 5:30 p.m. Guest will be entertained by the Miami Heat Dancers followed by a delectable buffet-style dinner, cocktails, a raffle and silent auction featuring prizes such as vacation stays and sports memorabilia. Guests are asked to adhere to the country club casual dress code. Many sponsorship/underwriting opportunities are still available, ranging from $250 to $25,000. Underwriting opportunities are available from $500 to $2,000. A Tee Hole Sign Sponsorship is available for $250. To view registration form and sponsorship information click here. For more information about sponsorship or underwriting opportunities, or to reserve a foursome, individual golfer or purchase dinner only tickets, please contact Anneleise Sanchez (305) 446-9910 ext. 30, or email events@bgcmia.org.